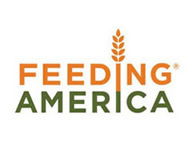 Feeding America is a network of 200 food banks, and 60,000 food pantries and meal programs across the USA. Through food donations from virtually every sector of the food industry, they are able to provide services to those in need. They provide meals to hungry children, along with safe places to eat. They also help seniors meet their nutritional needs, assist disaster victims, and provide food stability for adults trying to get out of poverty.